Skip the plastic wrap and reach for one of these green products instead. We're big fans of no-waste cooking, but sometimes you just don't need that whole lemon, onion — or pricey avocado. 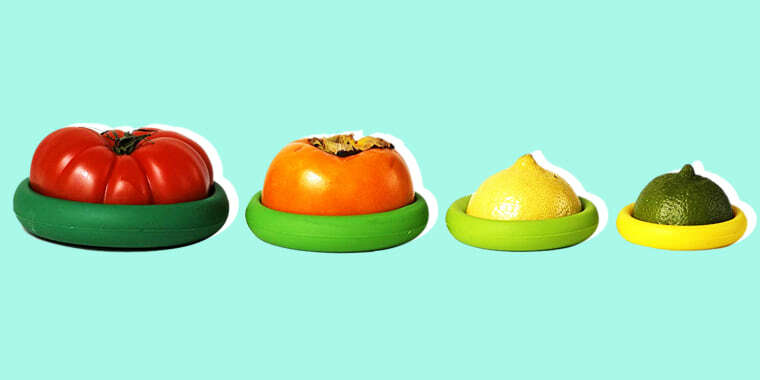 Enter the Food Huggers: Reusable, silicone food savers that keep produce — or even open cans or jars —fresh in the fridge. We also love the Avo Saver (more on that in a minute). Farberware's new Food Huggers recently showed up on our desk, so I decided to test them out — and ever since, I've been keeping them handy in the kitchen drawer below my prep station, instead of reaching for plastic wrap. This particular pack above comes with four sizes, to accommodate larger fruits and veggies, like tomatoes or onions, and smaller ones, like citrus (or even cucumber). 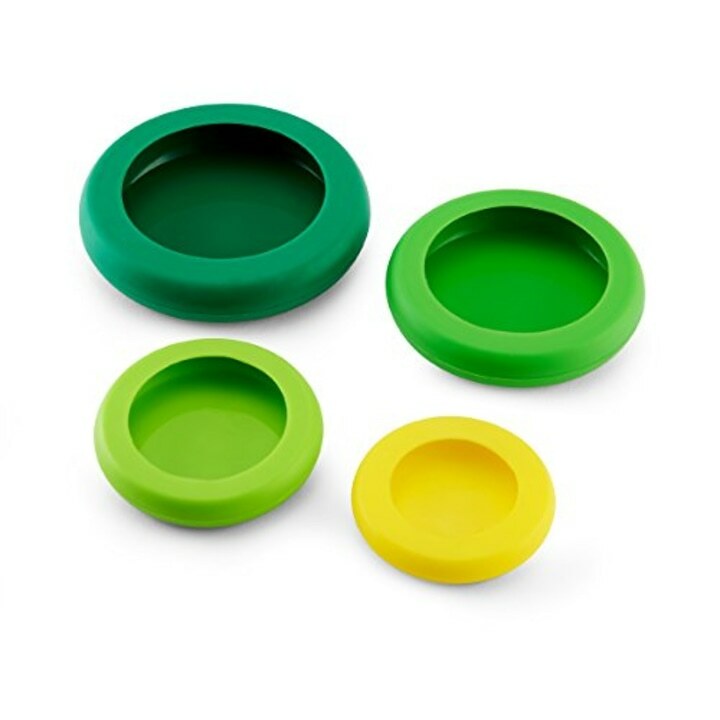 They're easy to use: Simply pop the half-cut fruit or veggie into the little silicone pod, and store in the fridge. Bonus: The produce drawer looks a lot more organized than when there used to be a bunch of (wasteful) plastic baggies of half-used veggies in there. In addition to keeping the fridge more organized, the huggers wrap around fruits and veggies and keep the produce from drying out. They also fit easily on open cans — my kids eat a lot of black beans, but never an entire can at a time —so these come in handy. I also use them on mason jars, instead of those annoying ones with the metal rings. Then, of course, there's the avocado — my favorite avo saver is still, well, the Avo Saver, a trusty gadget that's been with me for years. Another reviewer was "shocked to find [the avocado] in perfect edible condition" after a week. It's a deceptively simple product with a cult following.